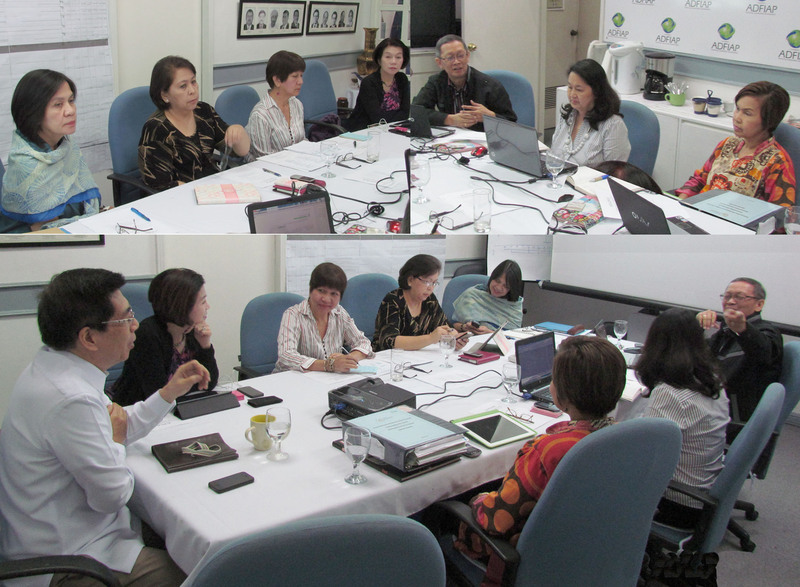 The PCAAE Board of Trustees held its first meeting on January 14, 2014 at the ADFIAP headquarters in Makati City, Philippines. The present full 7-member Board approved the following: (a) election of Mr. Octavio B. Peralta and Ms. Corazon Conde as Chair and Vice Chair, respectively (b) appointment of Chair and members of the Executive and Audit Committees (c) appointment of Ms. Carmelita Chavez as President (formerly Executive Director), Ms. Cristina Aquino as Treasurer, Mr. Enrique Florencio as Council Secretary and Ms. Lori Cervantes as Auditor (d) the PCAAE organizational chart and corresponding handbook and (e) certain amendments to its by-laws in so far as Board composition (15 members) and its officers Chair and Vice Chair) and date of annual meeting (from 4th Thursday of January to the 4th Thursday of April). The Board also noted, among others, the preparations of the 1st General Council of members Meeting on January 30, 2014 at the Philippine International Convention Center (PICC) and which is sponsored by the Tourism Promotions Board.